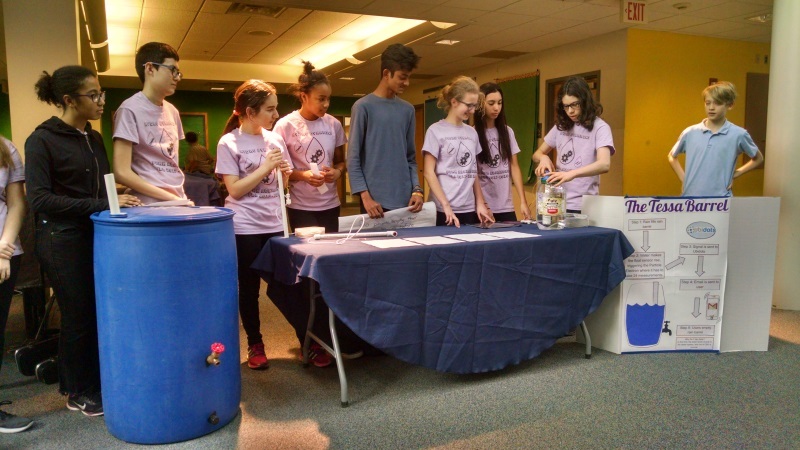 Last year, greenSTEM focused on building Root Kits so that Philadelphia students could monitor the soil moisture levels in their school gardens and gain an understanding of water-related issues in an urban environment. However, the soil moisture data was pretty predictable. When it rained, the moisture readings went up. The soil would gradually dry and the readings would hover at low levels until the next big shower. 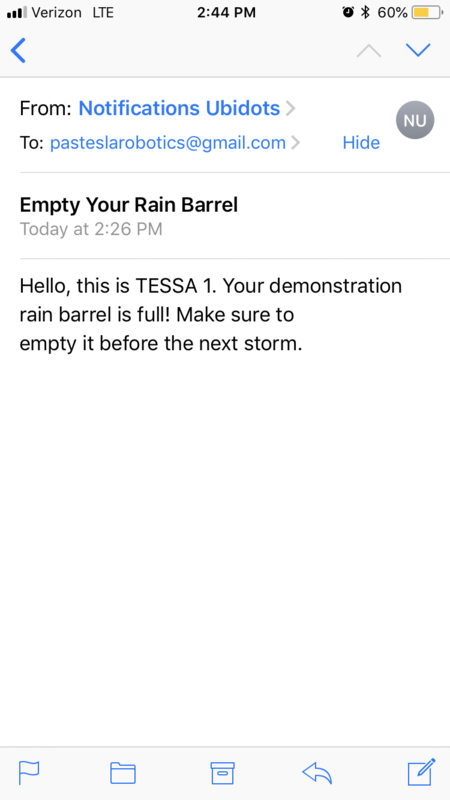 The project needed something to capture the students’ attentions and keep them checking in with the data. We also needed to get the sensors off the ground and off the grid. Somewhere along the line the idea arrived: “What if we paired this environmental data collection with something else? What if we adapted it into the form of a solar-powered birdhouse?” Using the birdhouse as our sensor housing, we could now offer students a live video stream of birds nesting inside the house as well. 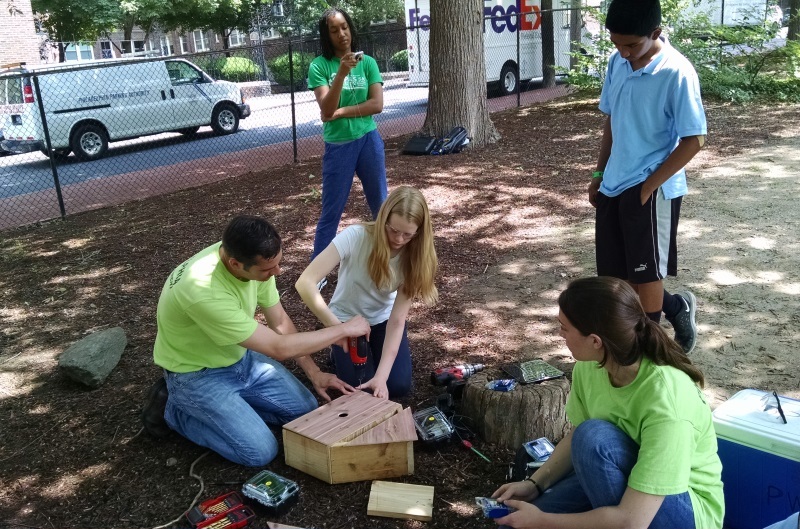 And so, with the summer sun shining, we successfully installed our first birdhouses at two Philadelphia schools. 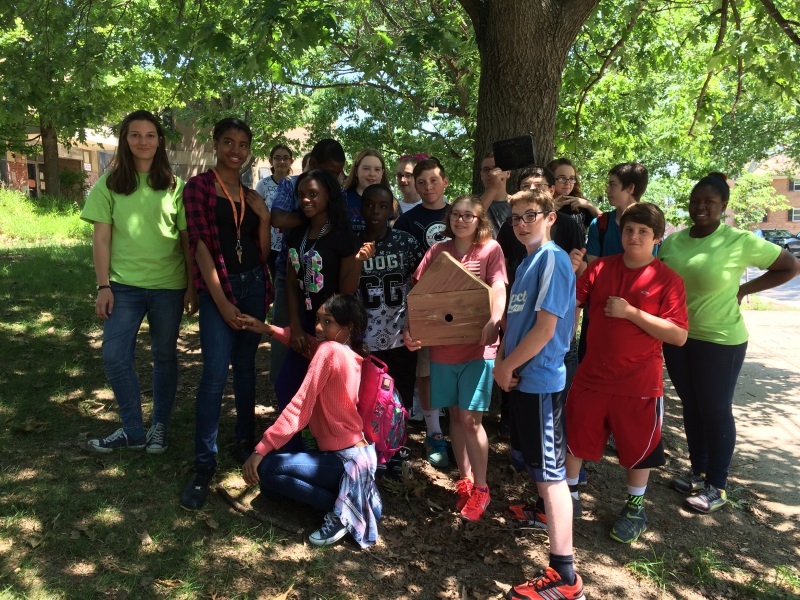 On May 28, 7th grade students at Penn Alexander in West Philadelphia helped us assemble the birdhouse that now sits in their vegetable garden. We brought the pre-cut pieces of the birdhouse to the schoolyard and helped science teacher Stephanie Kearney’s students use cordless drills to make pilot holes and screw the pieces in place. 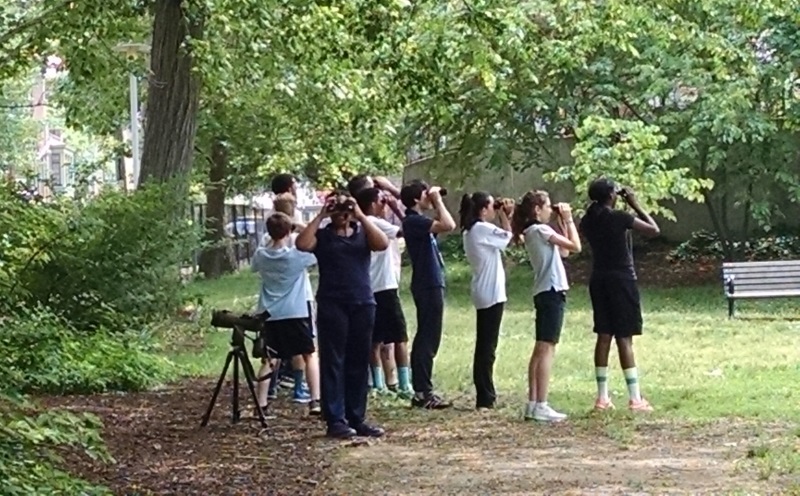 They also took a look around the schoolyard with urban bird expert Tony Croasdale of Wild West Philly. With binoculars in hand, they found a few nests! The next day, at Cook-Wissahickon Elementary School in Manayunk, we assembled a similar birdhouse with 7th graders from teacher Jose Ramos’ class and placed it in the school’s meadow. With both installations, we explained the purpose and components of the birdhouses to the students. The first thing one notices about the birdhouse is the shiny black solar panel on the rooftop. The panel is placed facing south at a 40-degree angle, mimicking Philadelphia’s approximate 40-degree latitude on Earth, in order to optimize absorption of solar rays. 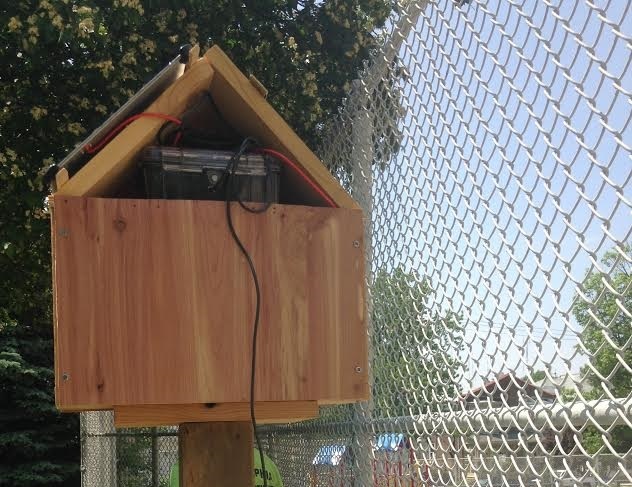 This solar panel is attached to the birdhouse to charge the battery inside that provides power for the birdhouses’ camera and sensors. The battery is located in one of the birdhouse’s two compartments. The bottom floor is a living space for the birds, but the top floor acts as a storage compartment for the technology that records video of the birds and takes soil moisture readings below. Battery-powered in the tech compartment are a Sleepy Pi and a Raspberry Pi. The Sleepy Pi, coded in Arduino, allows us to control when the video camera in the birdhouse turns on and off, cycling to conserve energy. The Sleepy Pi connects to the soil moisture sensor and a temperature sensor that take readings every hour and transmit the data via wifi to data.greenSTEMnetwork.org. Meanwhile, a PiNoir camera creates a video stream of the birds inside, and an infrared LED lights up the interior of the birdhouse just enough for us to see our subjects. The video stream can be viewed by students on their school’s network. We’ll document all the technical details and challenges in the coming weeks, both on the blog and through sharing code and schematics. But for now, we’re hoping to get birds nesting in the new houses before school lets out. 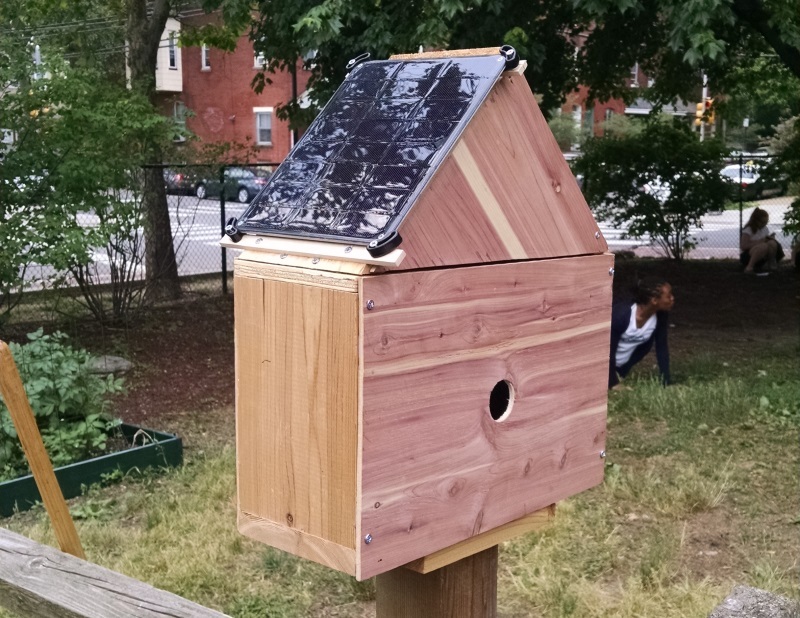 All of this would not have been possible without assistance from the School District of Philadelphia (who are partly responsible for this whole project) and IT guru George Li, who set up wifi networks for both birdhouses. 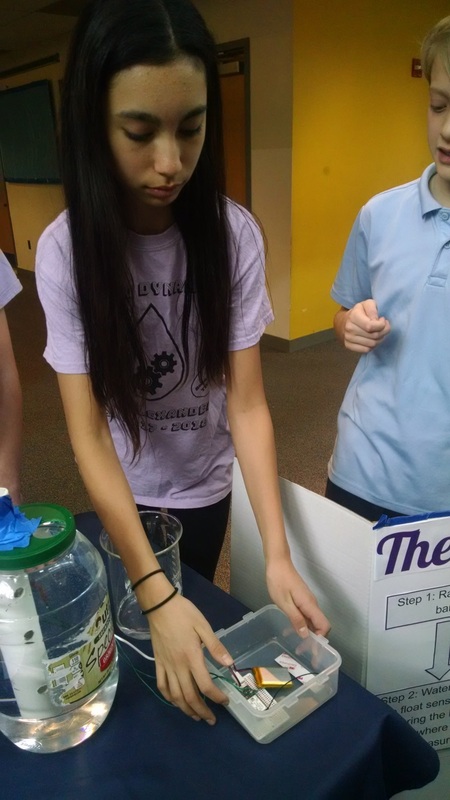 Special thanks to Rachel Odoroff from the Fairmount Water Works for her teaching expertise and involvement in the project.